The mill rubber panel is frequently used in overflow ball mills, rod mills, industrial scrubbers and washing drums, and so on. 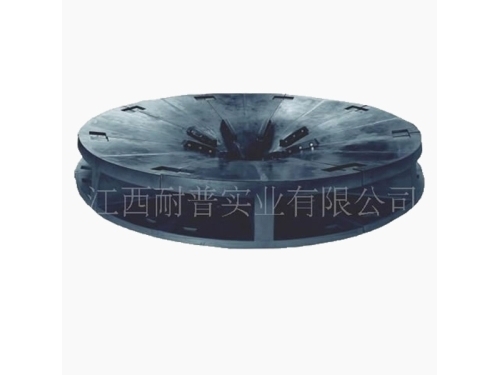 It functions to prevent mills from abrasion and adjust grinding state. Wear resistant rubber plate consists of metal framework and rubber. And its streamline is very reasonable. The panel is in trough shape. Currently, it is a necessary spare part for mining equipment. 1. Mill rubber panel has high efficiency and a unique anti-abrasion design. 2. It takes less time and money to maintain and repair. 3. Wear resistant rubber plate enjoys wide range of performances and high performance cost ratio. 4. Just as the name shows, mill rubber panel is manly made of rubber which features high elasticity, chemical stability and small density. It is far more anti-erosive than metal high-chromium alloy. And the rubber also features absorbing noise and vibration. 5. Light as it is, wear resistant rubber plate is reliable and stable. 1. Mill rubber panel should be packed in iron cases. 2. Accepted types of shipping are by sea and land transportation. 2. Mill rubber panel will be delivered within 30 to 60 days after receiving down payment. Field installation and maintenance will be provided on the condition that purchase orders of wear resistant rubber plates reach a certain amount. Jiangxi Naipu Co., Ltd. is a specialized manufacturer of mining equipment and spare parts, such as slurry pump, mill rubber panel, composite pipe, rubber impeller and rubber mining hose, to name a few. The company applies rubber and polyurethane new materials to products. They are much more wear-resisting, anti-corrosive and have longer service life than metal ones. Our products are all certified by ISO9001, ISO14000 and ISO18000. If you want to know details, please feel free to contact us or visit the website.